The next time you’re in Stanley Park admiring the changing colours that have come to define autumn for many, be sure to stop by the Park’s beaches and take a look at all the changes going on in and amongst the waves…. One telltale sign of fall is the dying off of the giant bull kelp beds (Nereocystis luetkeana) under the waves between Brockton Point and Lions Gate Bridge. As the days shorten and the water cools, nutrients become less available and the kelp begins to turn a shade of yellow and rot. With stronger ocean currents and the occasional autumn storm, the kelp breaks free and often washes to shore. While you’re combing the rocky intertidal areas for those impressively long “lines” of kelp (fun for tug o’ war, dragging around, and ensnaring a pesky sibling), be sure to keep an eye out for hermit crabs. 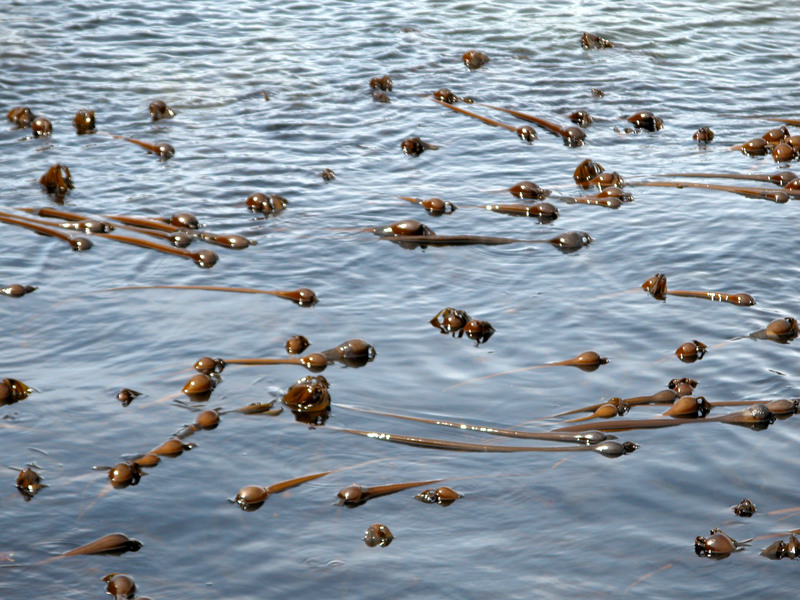 While they can be spotted during the summer, they reach their maximum number during the fall months. Other young crabs, sea worms and sea stars begin to colonize the tide pools around the Park after starting out the summer as tiny larvae. Almost as numerous as the falling leaves on shore, migratory surf scoters arrive in the thousands at this time of year. These entertaining sea ducks fly from Alaska in search of warmer weather and a bite to eat. Watch them dive in unison for blue mussels off 2nd Beach, Prospect Point and Ferguson Point. 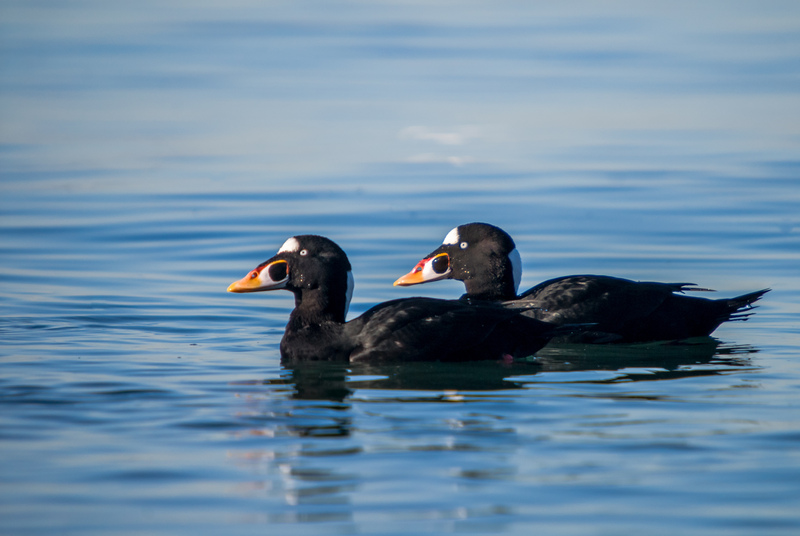 In among their numbers you can often spot a few white-winged scoters and the odd black scoter. Long-tailed ducks sometimes hang out with them. Also seen in good numbers near, but not among, the surf scoters are the Barrow’s goldeneyes. 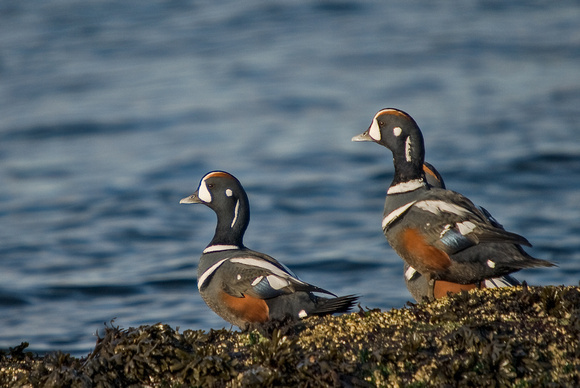 Much fewer in numbers but a favourite with birders, striking harlequin ducks can be found near Ferguson Point in the fall and winter. Autumn provides a wonderful opportunity for Park goers and nature enthusiasts alike to get outside and explore the myriad of changes this season has to offer. Be sure to include Stanley Park’s ocean shores in your next fall outing.